Are you moving to a new office? 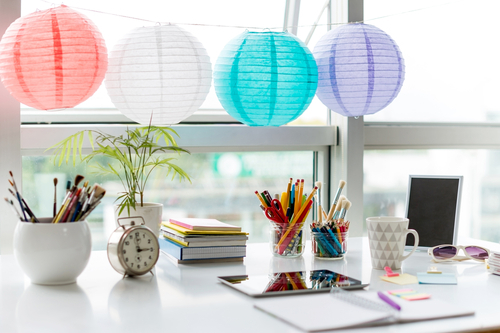 Do you need to give your office a facelift and cleaning is required? Has unused items accumulated in your office in the past few months? It is time you consider seeking spring cleaning. This cleaning program is tailored to give your office a fresh look that will befit the occasion on focus. With Singapore being among the leading economic hubs, office cleaning is an exercise required on regular basis. Multinational and other up-coming companies are in constant need of new office spaces. To give a better impression to existing and potential clients, you also need to always ensure a clean office. While cleaning maybe a daily procedure in every office, it is not al areas are covered. After duration of time, dirt and unwanted items will accumulate in the office rendering it inhabitable and unfit to conduct business. This creates the need to set time when extensive cleaning should be carried out. Spring cleaning is conducted by professional companies. The companies have in place the expertise and workforce to ensure the job is done satisfactorily. 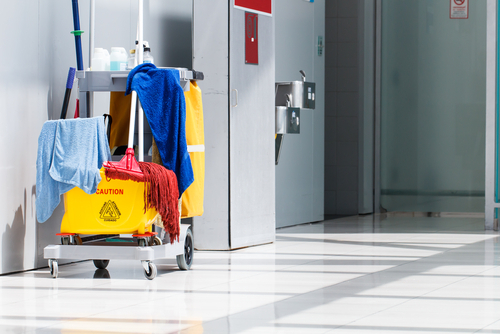 Cleaning companies go an extra mile to ensure hard to reach areas within the office are identified and cleaned. - Emptying and replacing of the rubbish bins. - Vacuuming, mopping and sweeping of the floors. - Arranging furniture and creating ample working space within the office. Closing the office to clean may result to waste of time and loss of business. Part-time cleaning offers the perfect solution to ensure the office is able to run smoothly without interruptions on daily operations. To make this possible, Cleaning companies maintains permanent employees who are assigned to tasks when need arises. This ensures that the required job is done in time and to full satisfaction. Singapore has very strict laws on employment and provision of services. Cleaning companies always ensure their employees are legalized to work within the country. The employees are required to have work permits alongside being provided with identification by the employer company. This ensures the employees and the cleaning companies can be easily identified and easy to contact them when need arises. - The extent of services to be accorded by the company. - The agreed cost of the services. - Time and duration that the services will be provided. - Obligation of the cleaning company, employee and the office concerning the cleaning processes. This includes things like provision of materials and equipments. - Company registration - Most of registered companies are genuine. They strive to offer quality service and at the same time are easy to reach in the event of breach of contract. - Compliance with local authorities – Local authorizes have in place regulation concerning a range of cleaning activities. Such include disposal of waste and safety of the employees among others. The right company should provide proof of compliance with the stipulated regulations. - Trained staff – Offices are different. The range of items and furniture vary with the purpose for which the office is used. The staff of the cleaning company requires knowledge n how to handle different furniture and appliances in the office. It is the responsibility of the company to train their staff adequately and in such way ensure quality services are offered. - Insurance – breakages and damages are prone to occur during the extensive cleaning. Responsibility for these damages lies with the cleaning company and in such way, an insurance coverage is essential. - Cleaning rates – The cost of cleaning varies between companies. Most professional companies charge slightly higher but their services are worth the costs. Cost is determined through a number of factors that include the extent of cleaning required, the number of staff required for the exercise, the size of the office and the duration within which the services are required. Holidays and special events are also charged at a higher cost. - Safety and security – The safety of your staff in the office and your office equipments is paramount. An ideal cleaning company will offer an assurance on the security and safety of your property and staff during the cleaning exercise. This may include having an insurance coverage alongside trained staff. - Environmental Impact – Globally, environmental conservation is of great concern. 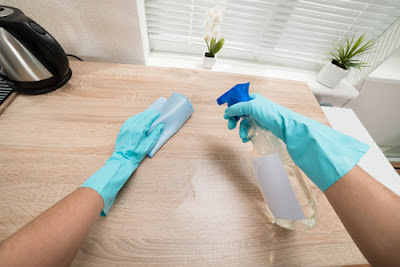 An ideal cleaning company requires to have measures to ensure the materials and equipment used as well as the cleaning process does not pose an environmental hazard. For effective and satisfactory results, there are materials and equipment required fort he leaning process. Different companies will have varying requirements in this regard and therefore important to consider the terms provided extensively. While most companies will provide with equipment such as, you will be required to provide the materials required such as the detergents. Some companies offer to provide the materials at an additional cost. Others will provide with a list of the materials you need to acquire before commencement of the cleaning process. If you have to buy the materials, it is important to consult with the company to identify the most appropriate materials for the job. Office cleaning often comes as a challenge to many holders and staff working within. In such an instance, sourcing for a spring cleaning company may offer the right solution for such problems. However, it is important to source and find the ideal company in terms of competence to offer the services. Searching in Singapore directories and seeking referral are among the key sources while seeking for the best company.